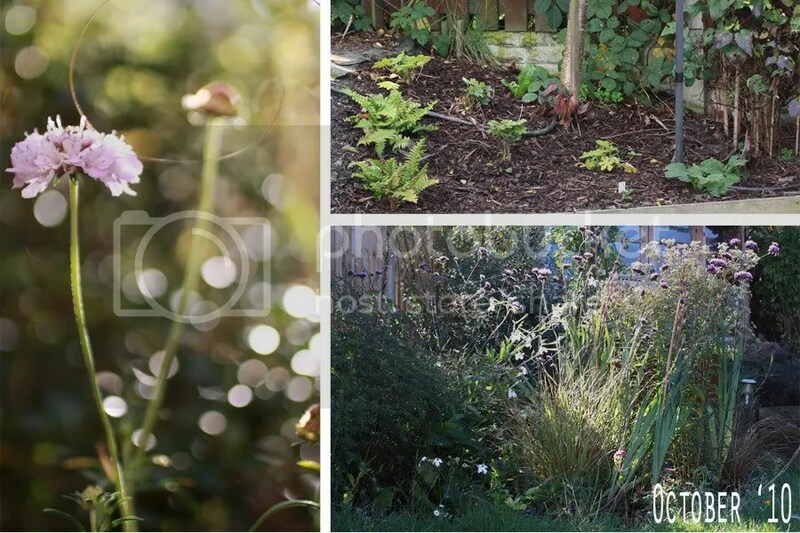 In 2010 I decided to create a new border in an area of the lawn which wasn’t growing very well, this border now known as the Aster border is perhaps one, or my only success so far. Perhaps I need to dig up all my existing borders and start again; give myself a clean palette so I can think more clearly rather than being blinded by the current planting. We had a very late spring in 2010 due to the deepest snow I’d ever seen arriving in January and then sporadically into February and March. Once spring did arrive it came in with a bang! The bulbs looked amazing as they all arrived together. By July the new Aster border which had been planted in April was looking very mature and had quickly become a main feature of the garden. Poppies were in abundance, it’s a shame they do not last very long though and quickly look tired and need removing. 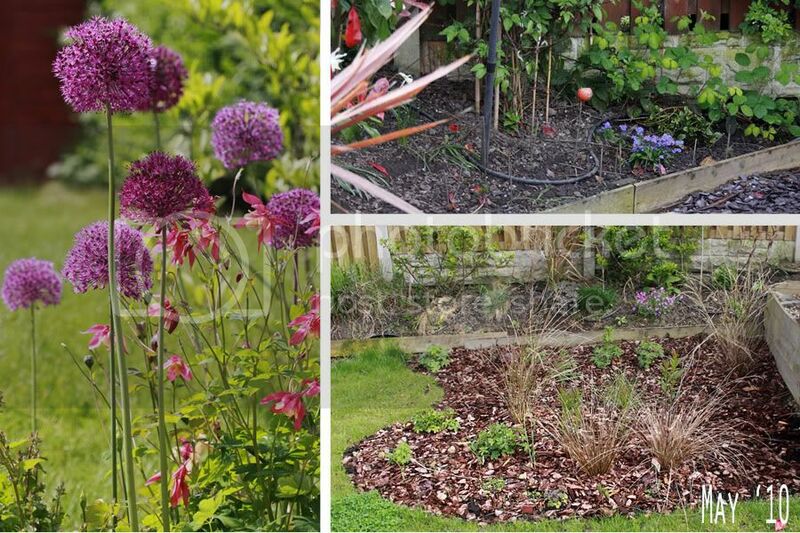 In October I planted the Cherry border after having removed the last of the shrubs – Photinia and planted it with shade lovers such as Ferns, Geraniums, various bulbs and Pulmonaria. The Aster border begins to feature again as the Asters bloom and then produce pretty fluffy seedheads. I had plans for 2011; these consisted of moving/replanting some of the Aster border as some plants were growing far too large for the space. One of the Asters ‘Lady in Black’ was actually of a shrubby habit rather than the more typical tall and straight variety. The Monkshood I planted was also becoming much too large, so it was decided that these two plants would be moved so I could see the border behind. 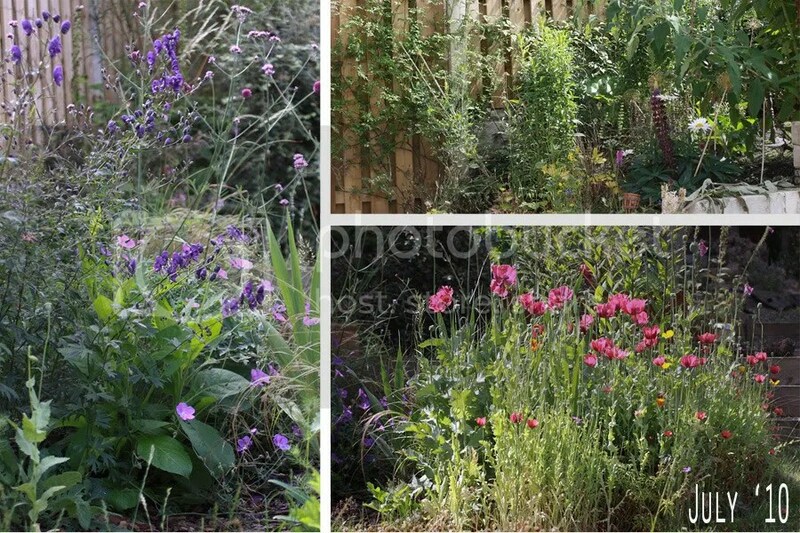 The Front and border down the side of the house remained largely ignored, and were deemed problem spaces where my effort would have to wait for another year until such a time that the back is largely under control and I can begin working on other areas.